A new residential condominium, The Crest Condo at district 3 is going to attract the residents of nearby developments. You can have an unblocked and wonderful view over the surrounding greenery where squirrels amidst the natural green. The Crest @ Prince Charles Crescent stands at three towers of 23-storey and four towers of 5-storey high with great honor, symbolic beauty and unmatched architecture. The iconic development will represent the honor and glory of the district 3 with it’s modern aesthetic architecture. The design has taken flavor of heritage and natural touch into account to have a connection bridge between heritage, glory and modernity. Surrounded by all necessary facilities, the new development is going to offer you a peaceful accommodation, which you deserve for a long time! TO KNOW MORE DETAILED INFORMATION AND BOOK YOUR PLACE OF THIS HIGH DEMANDING DEVELOPMENT, PLEASE DIAL 61001778. Description: Residential development with communal facilities. Location: Prince Charles Crescent, Singapore. 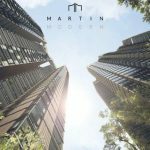 AMENITIES: Nearby renowned quality shopping and recreation amenities which includes: Tiong Bahru Plaza, Tanglin Mall, Valley point shopping center etc. Close proximity to a number of communal amenities and eateries which include Great World City, Dempsey area, Vivocity and so on. CONNECTIVITY: The development is having short distance from Central Business District, short to medium drive to Tiong Bahru MRT, Orchard MRT, Redhill MRT, Queenstown MRT and others. EXPRESSWAY: The development is having easy and quick access with major expressways such as Central Expressway (CTE), Ayer Rajah Expressway (AYE). SCHOOLS: A short walk or a short drive is required to reach some prominent schools like: Queenstown Primary School, St Margaret School, Gan Eng Seng Primary School, Henderson Secondary School, Bukit Merah Secondary School, Republic Polytechnic, Oversea Family School and ACS International and so on. Branded quality accessories, finishes and electrical, sanitary appliances are ensured with great quality. ​Nearby new launches in District 3 includes, The Alex Residences, Highline Residences and Principal Garden. 1 Bedroom, 2 Bedrooms, 3 Bedrooms, 4 bedrooms and exclusive penthouses. I'm interested in The Crest @ Prince Charles Crescent. Please kindly contact me.